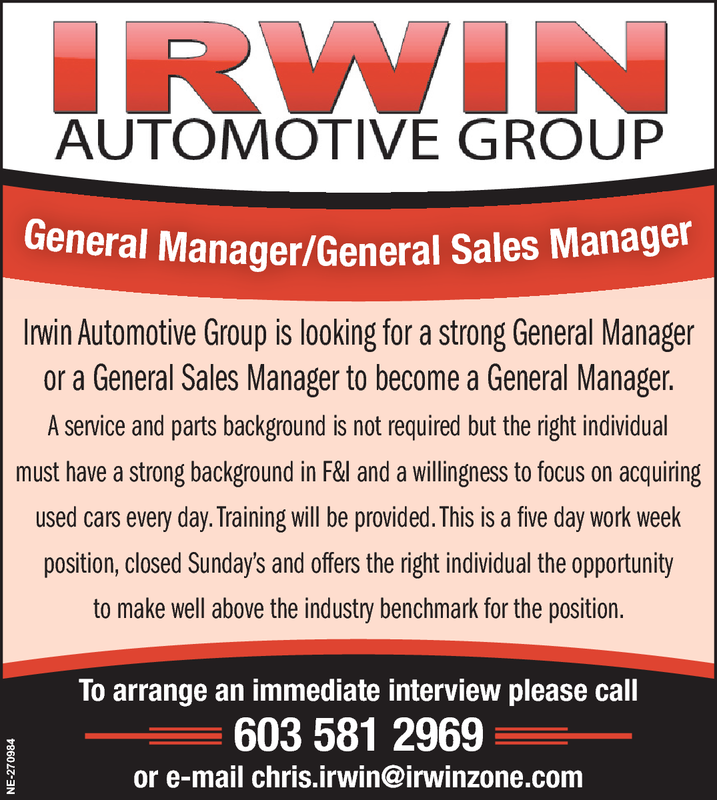 Irwin Automotive Group is looking for a strong General Manager or a General Sales Manager to become a General Manager. A service and parts background is not required but the right individual must have a strong background in F&I and a willingness to focus on acquiring used cars every day. Training will be provided. This is a five day work week position, closed Sunday's and offers the right individual the opportunity to make well above the industry benchmark for the position.